Dr. Jolanta Mickutė gives her review of Rūta Vanagaitė’s book, 'Mūsiškiai (Our People)'. In late December of 2016, at the German Historical Institute in Warsaw, the sprightly sixty-one-year-old Lithuanian journalist, writer, TV show producer, activist, and public-relations company owner Rūta Vanagaitė presented the gist of, as well as the logic behind, her newly published book on the Holocaust in Lithuania, Mūsiškiai (Our People). I had read the book before going to her talk; after all, I specialise in modern Jewish history in Eastern Europe and Russia. But I was nevertheless curious. Many of my Lithuanian colleagues and friends, who have read it before me, kept asking me for my opinion—because theirs varied a great deal. Vanagaitė’s book, which came out in Lithuania in early 2016 (it is due to appear in Polish in 2017), has by now sold around fifteen thousand copies. This is an unprecedented figure for a country of just about 3 million Lithuanians where nonfiction bestsellers usually have a print run of a few hundred and thousand if that, and higher numbers are hardly ever reached. 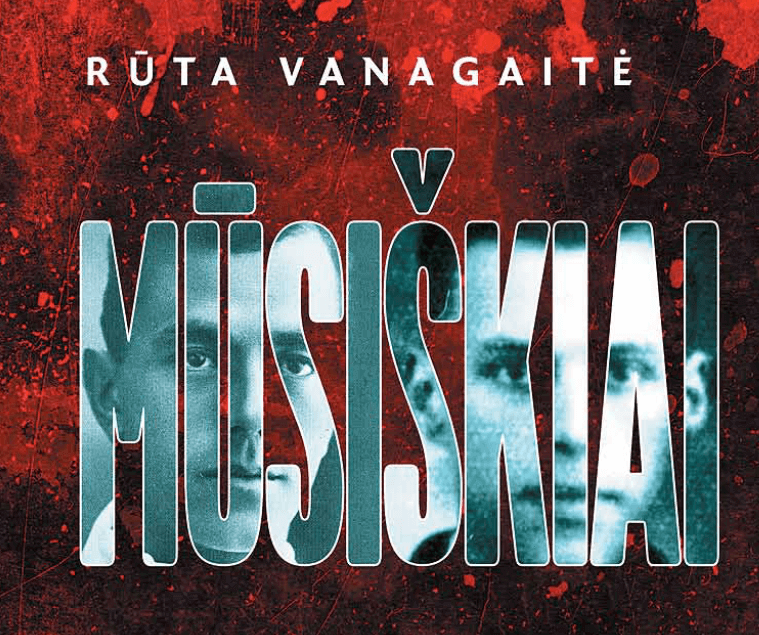 In short, from a publisher’s perspective, Vanagaitė’s book in Lithuania—and, of all things, on the “controversial topic of the Holocaust,” as a Lithuanian historian at Vilnius University informed me 5 years ago, upon my return to Lithuania after 10 years abroad—has been a colossal publishing success. Vanagaitė’s book has unquestionably struck a sensitive cord with the Lithuanian public—and, to everyone’s astonishment—with all of its segments. Without any hesitation, her book attacks, in the full sense of this word, the current form of Lithuanian collective memory, ever more nationalist and dogmatic over the past 26 years of independent self-governance and stumbling efforts at liberal democracy. This same memory, however, has not garnered much support among the younger generation of Lithuanian activists who did not experience the Soviet Union for long. It resonates even less with a number of intellectuals and scholars who have come to question the Lithuanian nationalist take on its gruesome wartime history. It is equally sensationalist and emotion evoking, oscillating between the defensive and the offensive positions. But most importantly, Vanagaitė’s book has spoken in the language of emotion on the level of laymen. It is non-scholarly; it lacks interpretative nuance and solid research. I suspect that to an extent this has been done on purpose. In the East European context, where historians unfortunately tend to drown their readership in excessive factual detail and abstruse arguments, it is deliberately non-academic. Hence it is easily accessible to everyone. Literally, everyone. It is equally sensationalist and emotion evoking, oscillating between the defensive and the offensive positions. It is because, on her personal journey through Lithuanian wartime history and the Lithuanian sites of Jewish mass murder with Efraim Zuroff, a U.S.-born descendant of Lithuanian Jewry, Vanagaitė, for the first time in her life, comes to face her own Lithuanian nationalist and Soviet-grown biases about Jews, World War II, and the Holocaust. Unwittingly, she addresses the entangled narratives of Lithuanian and Jewish suffering, or what members of the Lithuanian historical profession classify as a “double genocide” theory. The idea springs from the Judeo-Bolshevik myth (also thriving in Poland as Żydokomuna), according to which Lithuanian-Jewish communists repressed ethnic Lithuanians during the first (Soviet) occupation of the Lithuanian Republic in 1940-41. Hence the later, second (Nazi) occupation, and with this the Jewish genocide or the Holocaust, somehow served to “right the wrongs” done unto the Lithuanian population beforehand. In other words, there were two genocides: the genocide perpetrated by the Soviet regime and the one perpetrated by the Nazis. As the American-Lithuanian historian Saulius Sužiedėlis notes, the Lithuanian people, therefore, do not deny the Holocaust happened, as is sometimes the case in other European societies, but they do diminish or discard its centrality in modern Lithuanian history. As Vanagaitė candidly told the international group of historians in Warsaw this past December, her book is meant to shock. It aims to shake up the politicians and the civil servants, the city people and the villagers, the intelligentsia and the less well-read and educated, among many others, out of collective apathy, indifference, and, most importantly, self-deception. As the author implied, the time for the myth-woven, fact-denying collective victimhood narrative has run its course. “I wanted to tell the truth,” she said defiantly, because every Lithuanian she had met was afraid of the topic of the Holocaust. Why then such an uproar and discord regarding the Holocaust in such a small country? Why such a fear of divergent narratives? As a result, Our People has faced either harsh opprobrium or staunch approval (or both) among the Lithuanian public. 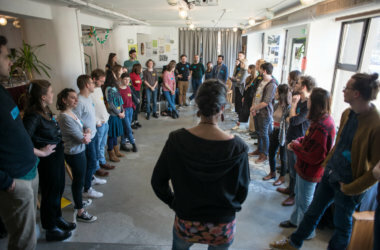 The generational, ethnic, and social divides have resurfaced more strikingly than ever since the demise of the Lithuanian Soviet Socialist Republic in 1991. “I bought Vanagaitė’s book just to show my support,” my middle-aged Lithuanian friend from Vilnius, a Russian-Lithuanian translator of Polish and Tartar origin, told me. “In the ongoing climate of slander and mud-slinging that broke out in the media over her book, I wanted to express my support for her courage.” In the press, at her book talks, and on television, Vanagaitė has been called a sellout to Putin or the Russians, a national traitor, a Jewish henchwoman, a morale-lacking lowlife, and many other names. The Lithuanian intelligentsia criticised her writing style, conceptual framework, and interpretations, though nobody, at least publicly, objected to her choice of topic. The historical profession only shrugged in dismay: most of the events, people, and issues she discusses in her book have already been explored elsewhere, in their dense scholarly studies. Why then such an uproar and discord regarding the Holocaust in such a small country? Why such a fear of divergent narratives? Let us take a look at the contexts in which the Republic of Lithuania found itself in the interwar, wartime, post-World War II, and post-Soviet periods. It is this complex background that has shaped present-day Lithuania and the reactions to the book. I ask my readership to bear with me. Deep historical understanding and empathy, to quote the Polish poet Wisława Szymborska, lies in the details: “since there’s pity in the details.” This story asks that much of its reader. The Republic of Lithuania, as it now appears on the map, is a piecemeal of lands strung together after the collapse of European empires during World War I: tsarist Russia and the German Empire. The city of Klaipeda in the west of present-day Lithuania, or what was once Memel, was annexed from East Prussia during a Lithuanian uprising in 1923. That is how the predominantly Catholic republic acquired its Lutheran Lithuanians. The city of Vilna and its environs in the east of present-day Lithuania, in turn, became part of Poland after the demise of tsarist Russia. Later, after World War II, Stalin incorporated it into the Soviet Republic of Lithuania. Vilna thus became Vilnius, the capital of Lithuania, to the joy of Lithuanian nationalists. That is how the new Soviet Republic of Lithuania acquired many Catholic Polish-speakers. In fact, only a sliver in the middle was ethnically Lithuanian. These are the proven historical facts. But let us enter the world of nationalist mythmaking that is no less real. Let us go back to the year of 1918 when the independent Republic of Lithuania came into being. At that time, it had Kaunas as its capital. Vilnius, however, was central to the foundational myth of Lithuania—after all, it was once the Lithuanian capital in the fourteenth-century Grand Duchy of Lithuania, and, as this myth had it, the first king of Lithuania dreamed of its glory and saw the future origins of the Lithuanian state in this city. Thus in 1918, the Lithuanian nationalists named Kaunas the interim capital of Lithuania because, in their eyes, it was only a matter of time, the right moment, and propaganda before Vilnius returned to its Lithuanian home. Anyone standing in the way was unwelcome. With their heavy presence in what they called Wilno, alongside their federalist agenda, the Poles were resented. Polonophobia ran high in both the Lithuanian government and public discourse, so much so that Lithuanians broke off diplomatic relations with Poland in the interwar years. The Jews, the second largest group in what they called Vilne, supported Lithuanian nationalist ambitions. They anticipated a better future for themselves in Lithuania that kept its political anti-Semitism under a tight lid and maintained a separate Ministry of Jewish Affairs in the interwar era. Sadly for the Lithuanian nationalist movement, Lithuanians, however, made up only 1 to 2 percent of the interwar Polish-Jewish Wilno. Why does this matter? Well, the “Vilna Question” loomed large in the decision of the six-week-long Lithuanian Provisional Government to collaborate with the Nazi regime. Soviet Russia could not be an ally and would only, yet again, act as an imperial ruler, albeit of a different ideological brand. The incorporation of the Baltic States into Stalin’s empire in 1940, as well as the deportations of the Lithuanian progressive elites to Siberia and the massacre of Lithuanian military officers in 1941, made this painfully clear. Yet the Lithuanian state did not want to part with its sovereignty for good. So the Lithuanian government hoped, somewhat naively, that the Nazis would allow, once the war was over, for an independent Lithuania with its capital Vilnius. All they needed was to work with the Germans. And so the Lithuanian authorities did just that. Many of these “killers of Jews” (žydšaudžiai in Lithuanian) were ordinary people. The fact of local collaboration and the participation of Lithuanian police battalions in the mass killings of Jews across towns in Lithuania is indisputable. Some of the population, in the former Memel, for instance, already had pro-German tendencies, while many Catholics harbored religious and economic anti-Semitism. Historical evidence shows that a number of Lithuanians worked with the Nazi regime, whether as perpetrators, economic opportunists, and/or passive bystanders. For the record, quite a few were also rescuers and victims. Yet what came as a shock to Vanagaitė—and many of her readers—is that many of these “killers of Jews” (žydšaudžiai in Lithuanian) were ordinary people. That is, they were not riffraff or criminals, as has been perpetuated by the Lithuanian collective memory. To top it off, Jews made up only a fraction of Lithuanian communists. According to the Lithuanian Holocaust historian Liudas Truska, in 1941, they made up only 16 percent of the Lithuanian Communist Party and 17 percent of the Lithuanian NKVD division. Moreover, among the Lithuanian deportees to Siberia, 13.5 percent were Jewish. The allegedly “communist Lithuanian Jews” therefore suffered at the hands of the Soviet too. The Lithuanian collective memory, however, still clings to the Judeo-Bolshevik myth that “all Jews were communists.” This offers a nationalist explanation for what happened to 200,000 Lithuanian Jews, about 90 percent of whom perished in the Holocaust. The horrifying story of Jewish persecution was erased from official collective memorialisation; physical sites of mass killings were left unmarked and abandoned. Right after the war, a thick layer of Soviet propaganda grew over the nationalist narrative that sought to exculpate itself from its moments of infamy. The Soviets proclaimed, “Everyone suffered in the war.” The horrifying story of Jewish persecution was erased from official collective memorialisation; physical sites of mass killings were left unmarked and abandoned. And since many members of the Soviet Lithuanian government were local Lithuanian communists and Russians send by Moscow, they did not challenge the Soviet version. All of this, of course, does not sit very well with the present-day regular consumers of Lithuanian collective memory who aspire to a glorious narrative of national resistance and victimhood. I do not mean to suggest that ethnic Lithuanians did not suffer during the war. They did, at the hands of both the Soviet and Nazi systems, and, painfully enough, at the hands of other Lithuanians too. The horror of the crimes committed by both Lithuanian nationalist partisans and communist Lithuanians are etched in the collective memory of local people. The victim-perpetrator dichotomy is often just too simple to make sense of the historical, ethnic, ideological, and religious complexities of the region. As I wrote earlier, it is in the details that historical understanding and empathy reside. Simplified truths and generalisations do not do justice to the infinite complexity of historical and social realities. They make it easier to paint black-and-white pictures with broad strokes and pass moralistic judgements. In 2017, Lithuanian democracy is 26 years old. The country has made a start in the twenty-first century with a mixed historical baggage, much of it selectively collected to nationalist ends since its birth in 1918, or even before then (as the nationalist movement began generating foundational myths in the late nineteenth century already). I think it is time to examine this baggage. There is no direct threat denying the country its right to exist: it is no longer facing any real—Polish, German, or Russian— expansionist claims. Joseph Kazickas Visiting Assistant Professor in European Studies at the MacMillan Center for International and Area Studies at Yale University and an Academic Director of the Lithuanian non-profit The Ethnic Kitchen. Currently working on her book manuscript The Zionist Woman in Interwar Poland.